The Humber Bridge is a Grade I-listed structure spanning the River Humber (the estuary formed by the rivers Trent and Ouse) between Barton upon Humber on the south bank and Hessle on the north bank, connecting the East Riding of Yorkshire and North Lincolnshire. 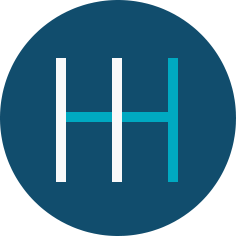 Approval for the construction of a suspension bridge was granted in 1959 with the passing of the Humber Bridge Act and the creation of the Humber Bridge Board, although it was not until 1973 that work finally began on this iconic structure. There were two reasons why a suspension bridge was chosen. Firstly, because of the geology and topography of the area, the cost of constructing a tunnel would have been excessive. Secondly, the River Humber has a shifting bed, causing navigational problems for vessels. This necessitated a wide, unobstructed path to be maintained across the channel, which could only be achieved via a suspension bridge. The Humber Bank is an ideal spot for a walk or cycle ride, with easy access into a number of nature reserves, as well as longer walks to South Ferriby and Barrow Haven. 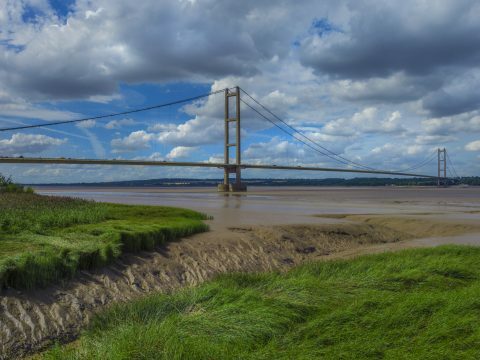 The Humber Bridge also marks the start of the Viking Way, a long-distance trail running 147 miles between the Humber Bridge and Oakham in Rutland. Waters’ Edge Visitor Centre is set in an 86-acre Country Park, and celebrates the wildlife and unique environment of the Humber Estuary. 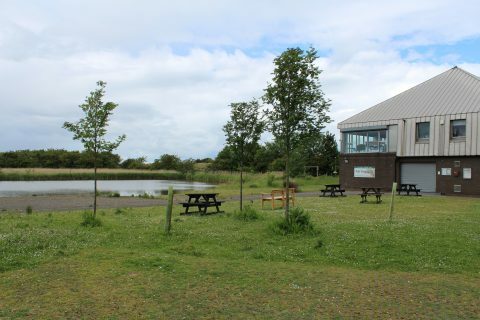 The Country Park has two sites of special scientific interest and is home to rare birds, plants and animals as well as two well-equipped children’s play areas and a network of footpaths, through the meadow and woodland and across the reed beds and ponds. Waters’ Edge is also home to an innovative wildlife surveillance network, the first of its kind in the country. High-quality cameras have been installed across the site, giving a unique insight into the secret world of the animals and birds that live there. Take time to relax and enjoy the striking panoramic view from the Visitor Centre at Far Ings National Nature Reserve. From here, you can observe the pits and reed beds at Far Ings National Nature Reserve and along the Humber bank, a legacy of the tile and cement industry which flourished from 1850-1959. Thanks to pioneering management by Lincolnshire Wildlife Trust, the reserve is now rich in wildlife and is a great place to see the elusive bittern! In spring and autumn, visitors to the site can see migration in action, as pipits, finches, swallows, martins, swifts, larks, starlings, waders and wildfowl move along the estuary. In late-summer the reed beds are important hirundine roosts, and autumn and winter brings sightings of redshank, wigeon, black-tailed godwit and skeins of pink-footed geese. The Visitor Centre offers interpretive and interactive displays throughout the year, to give you an insight into the natural and social history of Far Ings. 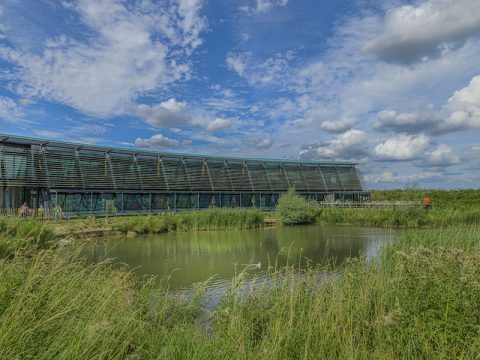 The Reserve is open all year with free parking and the Visitor Centre, which is fully accessible on both floors, is open on Wednesday from 1.00pm – 4.00pm and Saturdays, Sundays and Bank Holidays from 10.00am – 4.00pm. The Old Tile Works is a restored, fully operational tile factories, one of the last Tile Factories in Europe of its kind. Based on the banks of the River Humber, the site comprises an Artisan Village, Potters’ Shed, Visitor Centre, reclamation and garden pottery shop, events space and Coffee Shop & Restaurant. 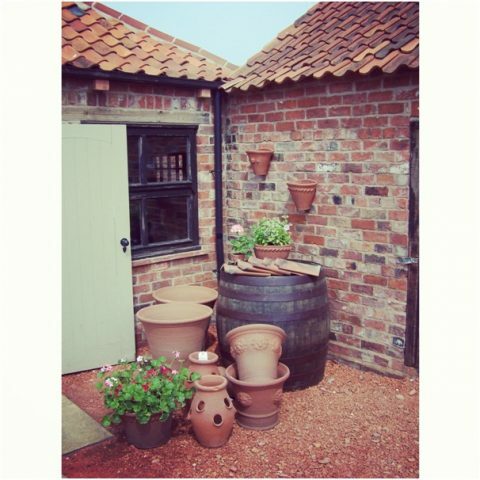 Situated in 17 acres of stunning rural land on the banks of the River Humber, Lincolnshire with a herd of Hereford cattle and calves grazing within the grounds of The Old Tile Works, it’s the perfect setting for a family day out. 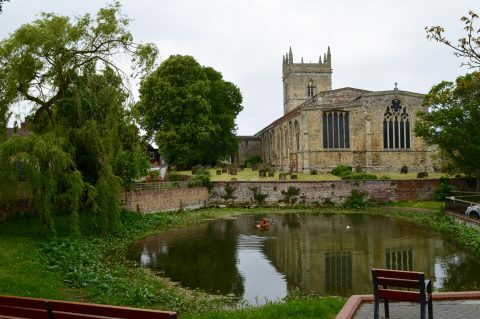 The Beck is an artesian spring-fed pond that sits between the churches of St. Mary’s and St. Peter’s, and is said to have been used by St. Chad for baptisms. The Beck has been the centre of debate throughout its history and a major concern for Barton Civic Society. In the early 1970s, the Beck was very dry in the summer months and many were concerned that the artesian springs would not flow again. A plan was drawn up to encourage water retention within the beck that included ideas proposed by Chad Varah and Phillip Pape. In 1979, the local council was considering various courses of action with respect to the Beck. The pond was empty in the summer months and considered unsightly. However, before any work could be undertaken, the Beck’s springs returned with great force in the early months of 1980, causing a severe flooding risk to local housing. Water had to be pumped out of the Beck at great speed, into the sewer at Beck Hill. The amount of water being pumped out of the Beck at this time was up to 2,600 gallons per minute; equal to around 23,640 bottles of water! Barton Civic Society and North Lincolnshire Council have an ongoing initiative to restore the Beck, and create a feature that benefits the town.